Book #3 of The Rose Trilogy. See how it all ends!! A black Rose dies... Now it's time to run... The one I love lost... oh God, what have I done? What if vampires were the good guys and a human girl was the one to fear? 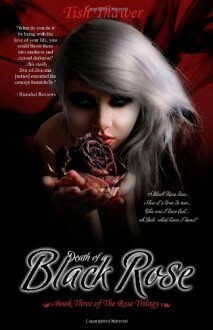 Death of a Black Rose, book three in The Rose Trilogy, is a paranormal romance that concludes with a heroine who's now the one to fear, a vampire who vows to save the soul of the one he loves, and a vampire clan whose new Sire is already facing extinction.